Studies show that children who are read to in the home and who use the library perform better in school. September is Library Card Sign-up Month, a time when the Kewanna Union Township Public Library joins with the American Library Association and public libraries nationwide to make sure that every student has the most important school supply of all – a free library card. Resources at the Kewanna Union Township Public Library are available to anyone who has a library card. Students can turn to the library for materials, programs and knowledgeable library staff that support academic achievement. Today’s libraries aren’t only a place of quiet study, but also creative and engaging community centers where students can collaborate using new technologies or just relax with peers. 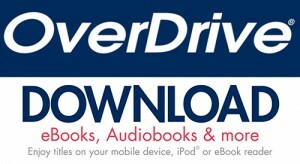 Our library offers access to a variety of print and digital resources, including OverDrive for e-books and Evergreen Indiana. Evergreen Indiana is a growing consortium of 107 public, school and institutional libraries located throughout Indiana that use the Evergreen ILS. Patrons of member libraries can use their Evergreen Indiana library card to view the catalogs and borrow materials from the other member libraries. We also offer programming for patrons of all ages. Stop in at KUTPL and pick up a monthly calendar, visit our website, or Facebook page to see what’s happening! There’s really something for everyone and it’s all free with a library card! Union Township Public Library in person or visit the library online at www.kewanna.lib.in.us.